Publication Information: Ballantine Books. 2018. 336 pages. Opening Sentence: "The line of Aunt Tate's jaw was fierce and unyielding, like a hammered steel length of railroad track, but her eyels were soft and puffy from furtive crying." Favorite Quote: "You can't let what's happened make you a victim. People will want to see you that way; they'll say, Oh, that poor little girl. She's so pathetic. Let's just let her get away with anything and everything.' But I don't want for you to live your life trading on being a victim. I will not let that happen. You have to face life, head on." Dance become Lily's outlet and leads to her transformation from Lily to Ruby Wilde. 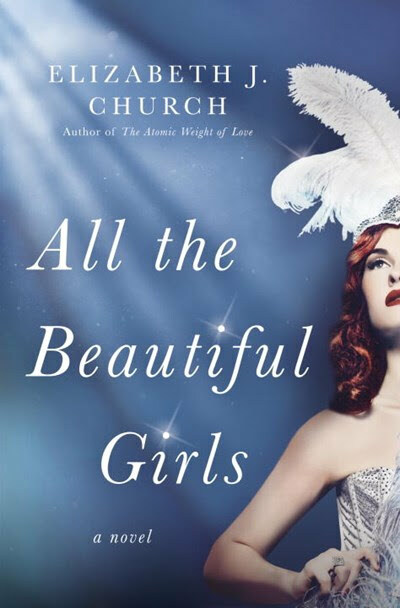 She leaves her small town for a life of glamour and dancing as a Las Vegas show girls. Over the years, through ups and downs, Lily survives and even thrives. She finds a community of her own. The shadow of abuse and the scars it leaves, however, are never far. These wounds consciously and unconsciously drive Lily's decisions. Through it all, the Aviator remains a presence in her life. In many ways, he is the only family she has, and he is more her family than her aunt and uncle ever were. The base of this book is the sexual abuse of a child is a brutal and heartbreaking one. It sets up Lily as a truly sympathetic character. The image of this little girl who loses her family and then is forced into the trauma of horrific abuse lingers through out the book. Through her positive and self-destructive choices, I want things to work out for Lily. This book is in turn joyful for Lily saves Lily. She is responsible for finding her way out not only from her abusive home but through other struggles in life. She has help along the way - the Aviator, teachers, kind bosses in Las Vegas, and the friends she finds in Las Vegas. Yet most of all, the story is of Lily finding her strength and her voice. So, a heart wrenching premise and a strong character should make for a moving, emotional read. This book is that to an extent. It stops short. It takes me a while to puzzle out why. The book leaves a big open question about the accident that is at the foundation of the book. Lily is eight at the time. Yet, she never once displays anger towards the Aviator who is responsible. He becomes almost a mythical heroic figure in her mind. A way of coping with grief? A way of escaping the abuse at home? A child's fantasy? This question is never explored. Although it sounds contradictory, but this book about abuse is too perfect and too neat. The "good" characters are all good. The "bad" characters seems to have few or no redeeming qualities. The life of a Las Vegas show girl is for the most part presented as a sanitized sisterhood of entertainers. Lily's transition out of serious situations seems to be relatively quick and seamless. Even the ending seems to wrap everything up with a neat bow. People, as we know, are not one dimensional. Life, as we know, is not that simple. This is about the reaction I had to to Elizabeth Church's The Atomic Weight of Love. I enjoyed parts. I sympathized with the main character. Yet at the end, I am looking for something more.